The deathcore band, Lorna Shore, have announce a U.S. headline tour, called "The Beg for Death Tour", for May and June. The deathcore band, Lorna Shore, have announce a U.S. headline tour, called “The Beg for Death Tour”, for May and June. This tour is in support of the band’s latest album, Flesh Coffin. 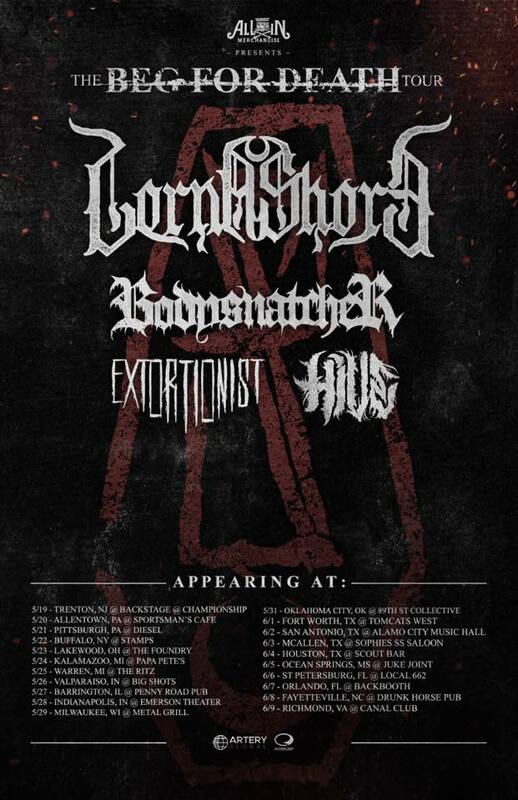 Bodysnatcher, Extortionist and Hive will be on the tour, as support. You can check out the dates, details and poster, after the break.